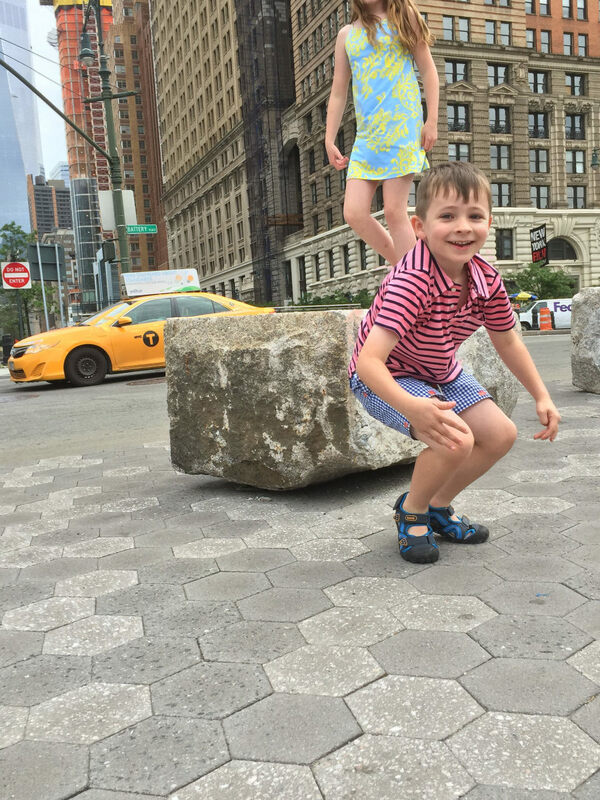 This is how families play in NYC. 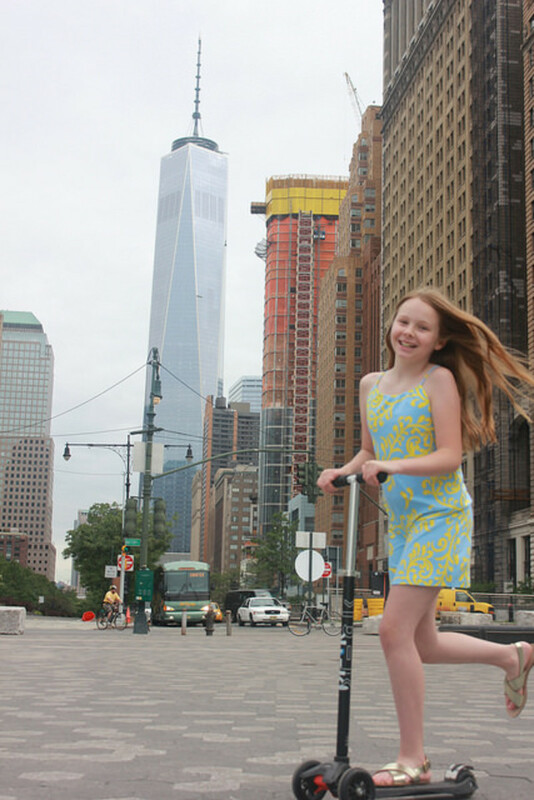 You might think NYC isn&apos;t kid-friendly, but here at Momtrends, we think that&apos;s all wrong. You just have to find your mojo. For summer, it&apos;a all about keeping cool. If you live downtown in Manhattan, you can usually find a breeze close to the water. 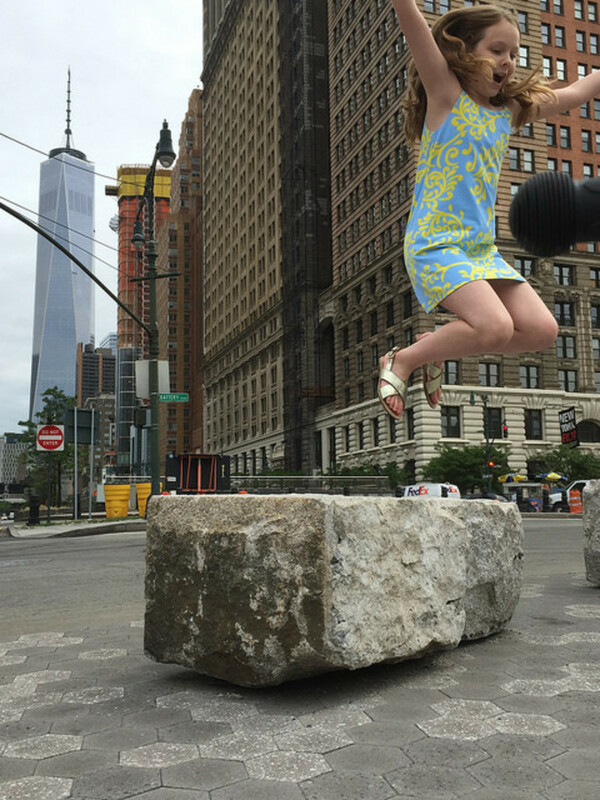 That&apos;s why more families are moving to Battery Park City--the backdrop for out latest, kids fashion shoot. We&apos;re featuring J.McLaughlin’s new Children’s Collection. 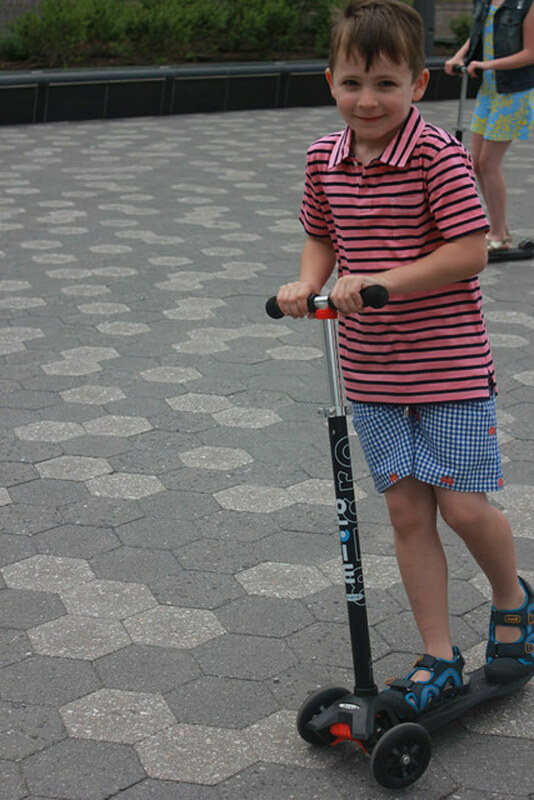 All of the pieces are under $100 and they’re perfect for kids to wear this summer, whether it’s to the beach, a weekend getaway or to any other every day activity--like scooting around your favorite park. 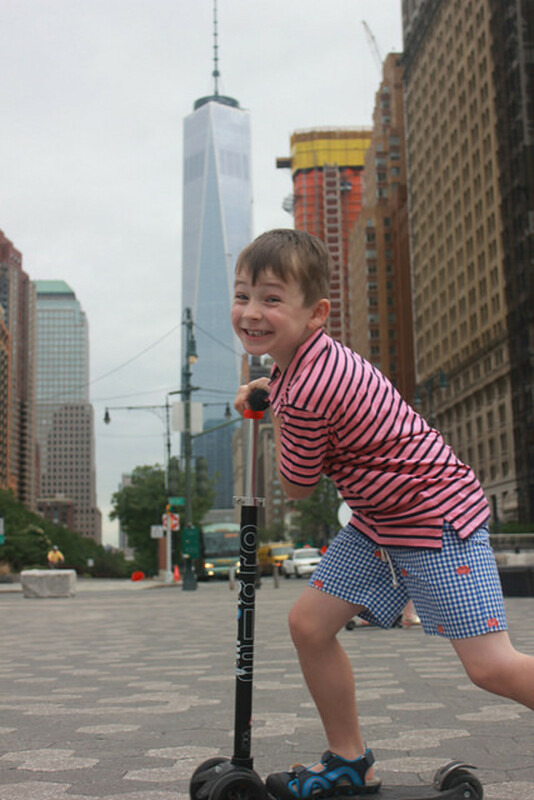 Look anywhere in the city and you&apos;ll spot Micro Kickboard USA Scooters--they are a great way to cover some mileage without complaining kids. In NYC we have to walk lots. And the kids have to walk right along with us. So parents figure out a way to make it fun and speedy. Amen for scooters. What to wear when getting around town? We love striped polos--this one, the boy&apos;s Russ Polo, is super soft--not a hint of scratchiness and itchiness. Mix the prints up and add the crab print Eddie swim trunks--you never know when you&apos;ll find a fountain in NYC. The line fits girls and boys between the ages of 4– 10 years, (sizes XS – large). We find it preppy, easy to style and perfect for travel and play. This Maria dress was one of our favorites from the line. Lots or preppy classic fashions just waiting for some fun! This is not a sponsored post. We were given clothes to style for this shoot.